Tidewater Insulators installs radiant barrier insulation in Lightfoot, Virginia. Radiant barrier insulation is usually installed in the attic and increases your home’s ability to reflect, rather than absorb, the sun’s energy. This helps make your home much cooler in the summer! Schedule a FREE Radiant Barrier Insulation Installation Consultation in Lightfoot, VA! 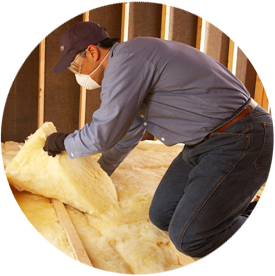 To discuss radiant barrier installation for your home or to learn more about radiant barrier insulation in general, contact Tidewater Insulators today. Tidewater Insulators has been installing insulation in Lightfoot, VA for over a decade! Do you want to install radiant barrier insulation in your home? We offer FREE consultations, so contact us today about radiant barrier installation in Lightfoot, Virginia!